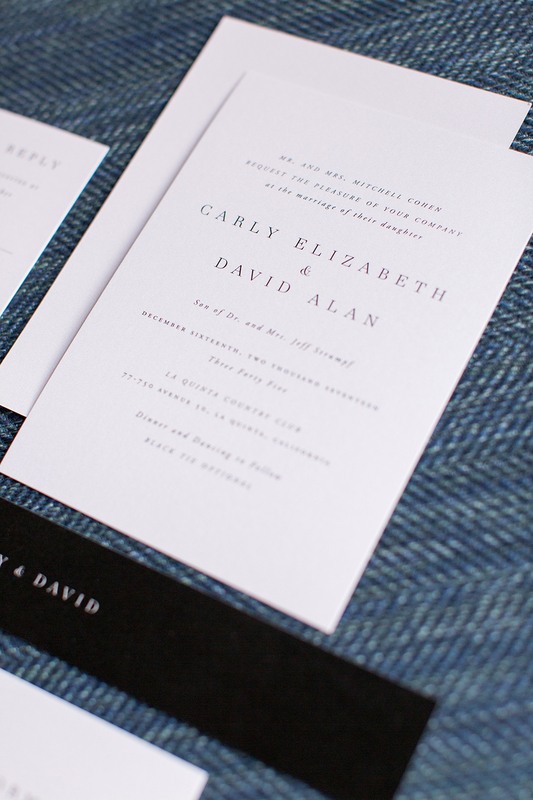 Carly and Dave’s first date was a bust—Dave got sick and his car was towed—but it was meant to be and, for better or worse, they’ve been together ever since! 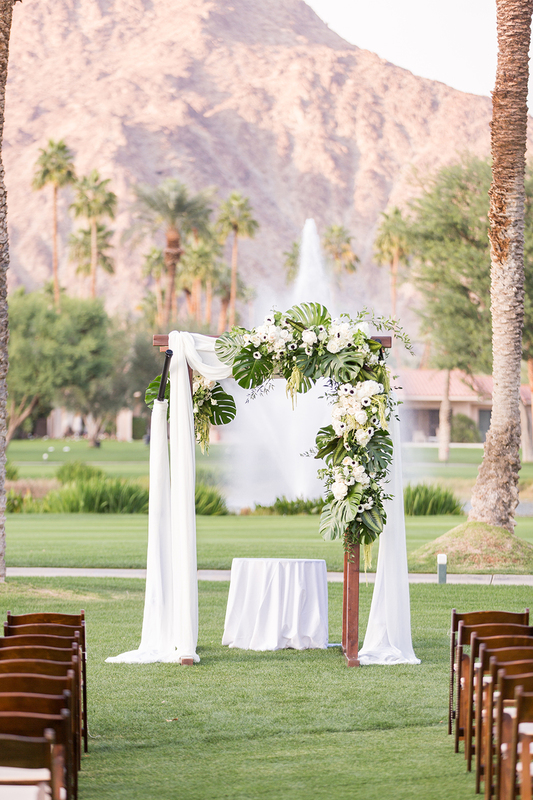 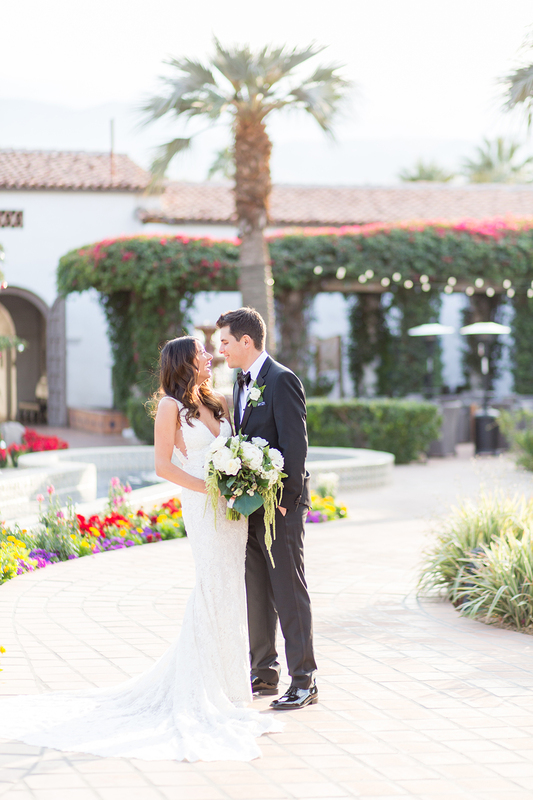 The couple tied the knot in a modern celebration at La Quinta Country Club in Palm Springs. 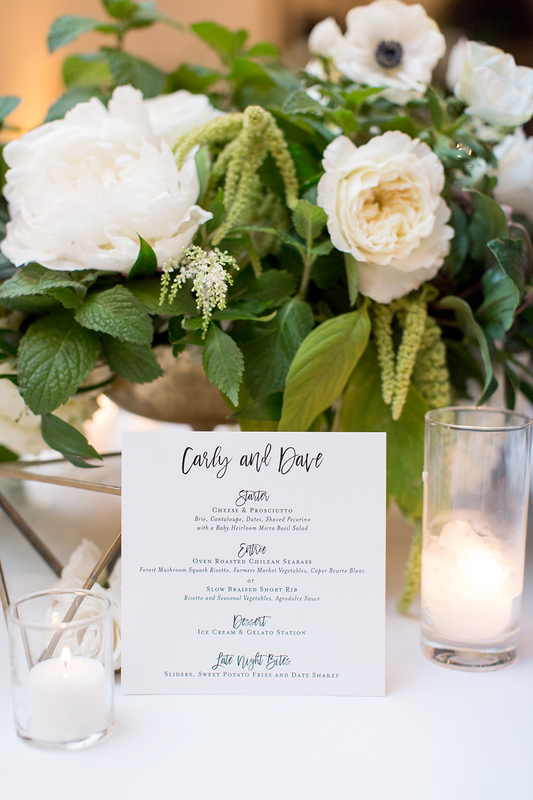 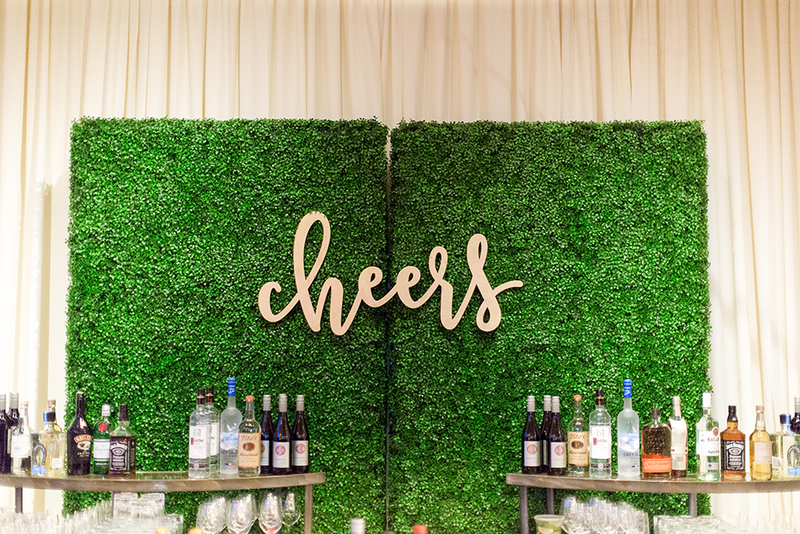 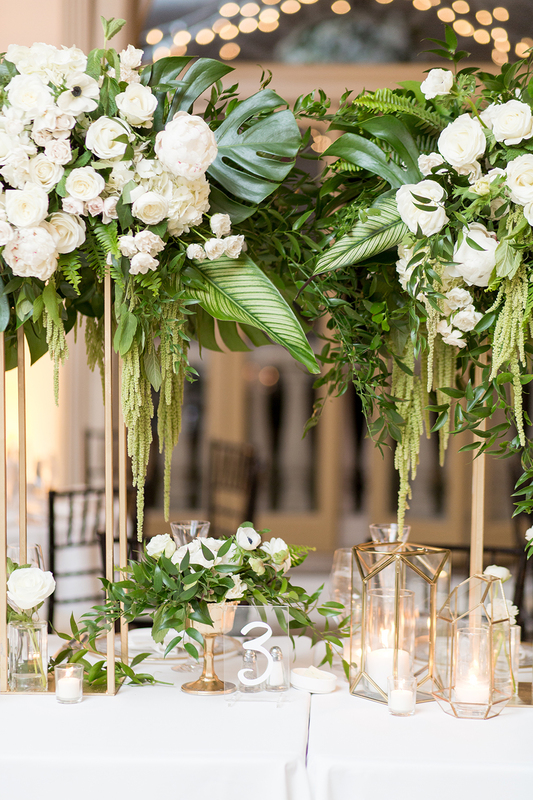 HoneyFitz Events planned the day filled with tropical and luscious greens by Little Hill Floral Design that reminded the couple of their favorite vacation spots. 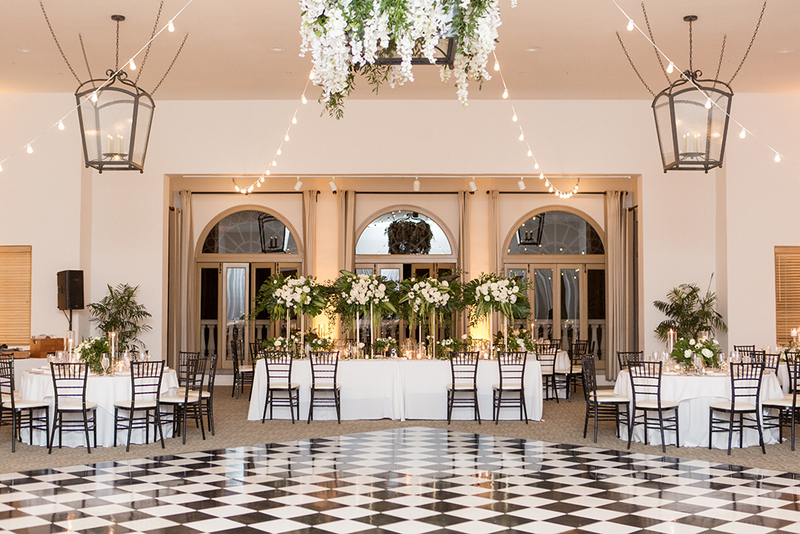 An understated color palette highlights all the stand-out details like the graphic acrylic seating chart affixed to a topiary wall and white blooms dancing around the custom neon signage. 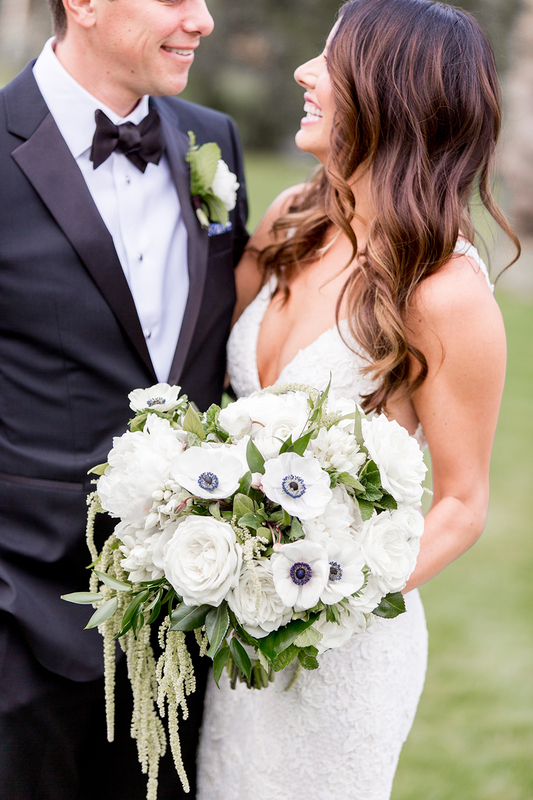 We love the bold, happy vibes and lucky for us Michelle Kyle Photography was on hand to capture it all! 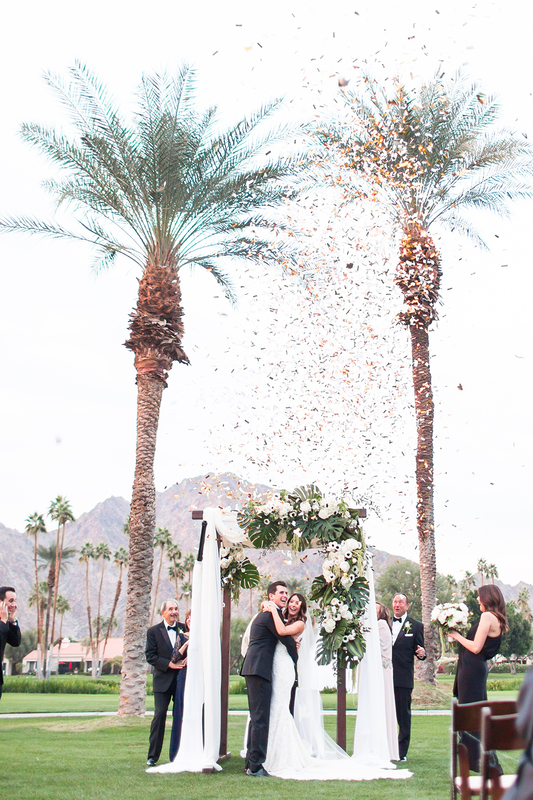 Having all of their closest family and friends together to celebrate with them! 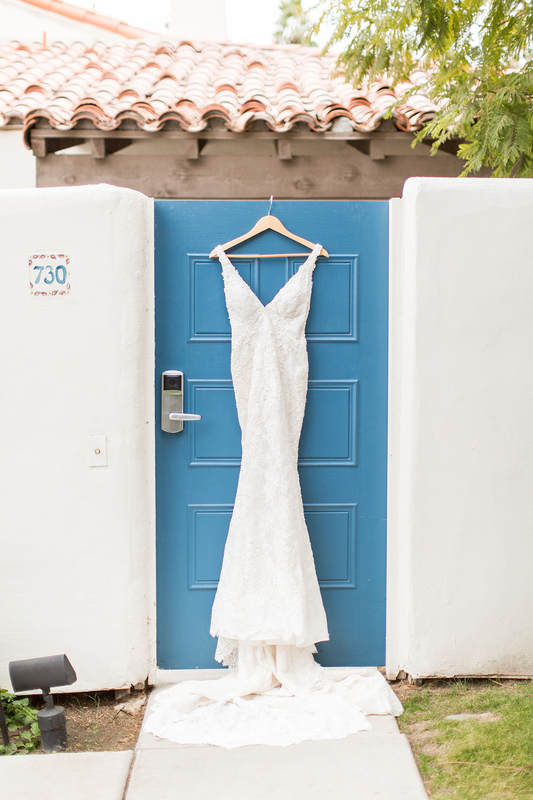 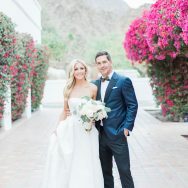 Carly’s Wedding Gown is Pronovias and was purchased at The White Dress in Newport Beach. 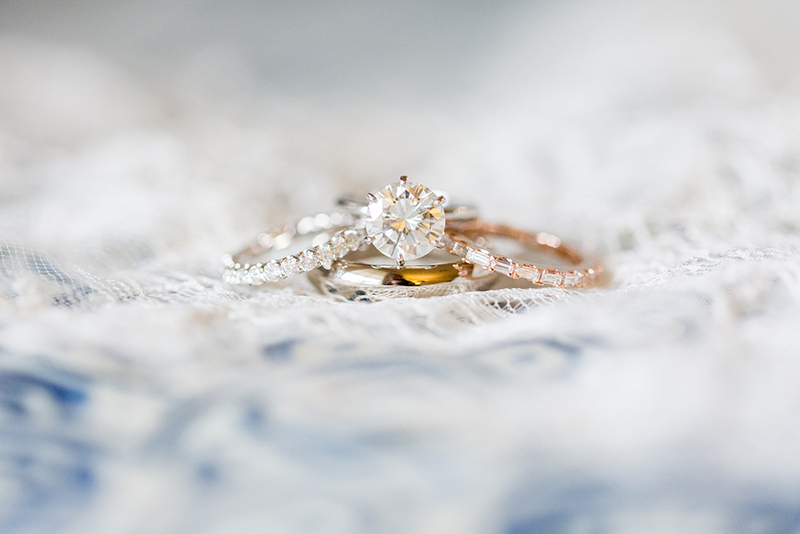 She was immediately drawn to the unique lace and illusion panels on the side. 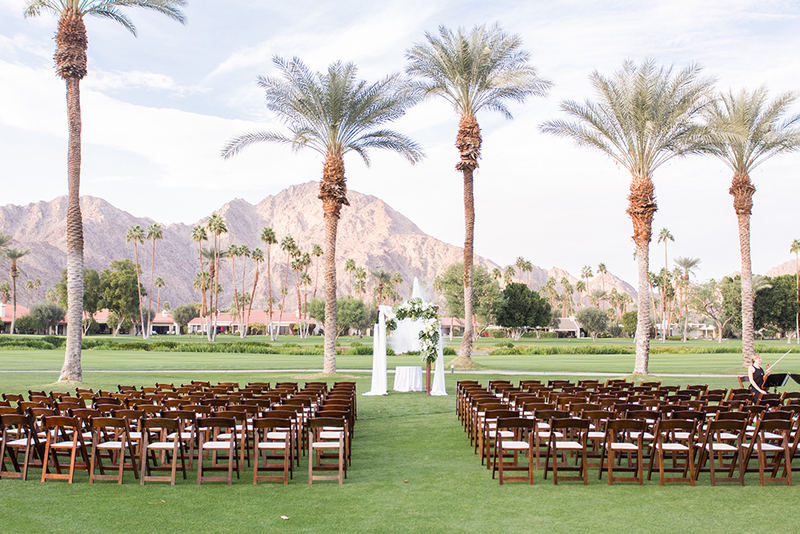 Touches of tropical and luscious greens reminded them of their favorite vacation spots — including Palm Springs. 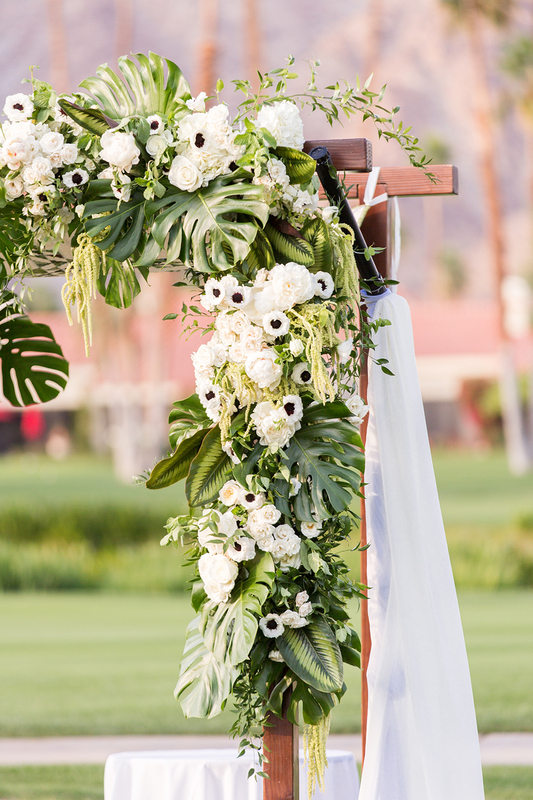 The Chuppah Canopy was hand-sewn by the groom’s mom. 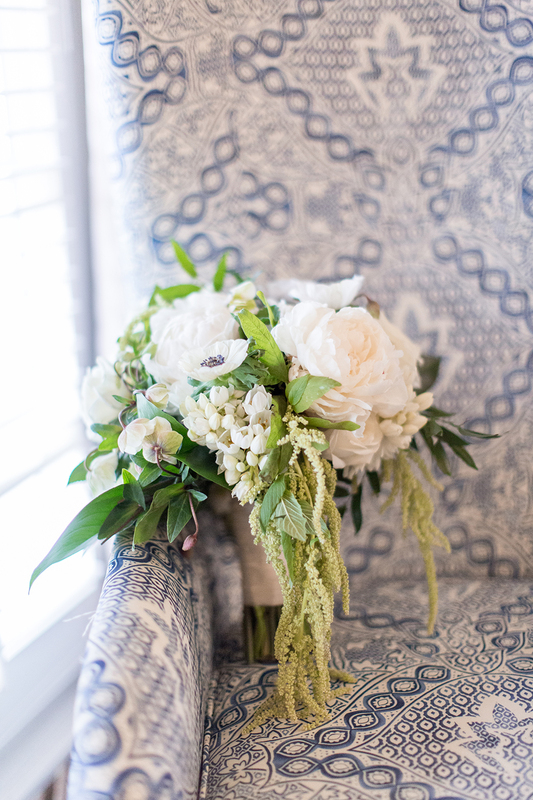 Carly’s wedding gown had lace from her mom’s wedding gown sewn on the inside. 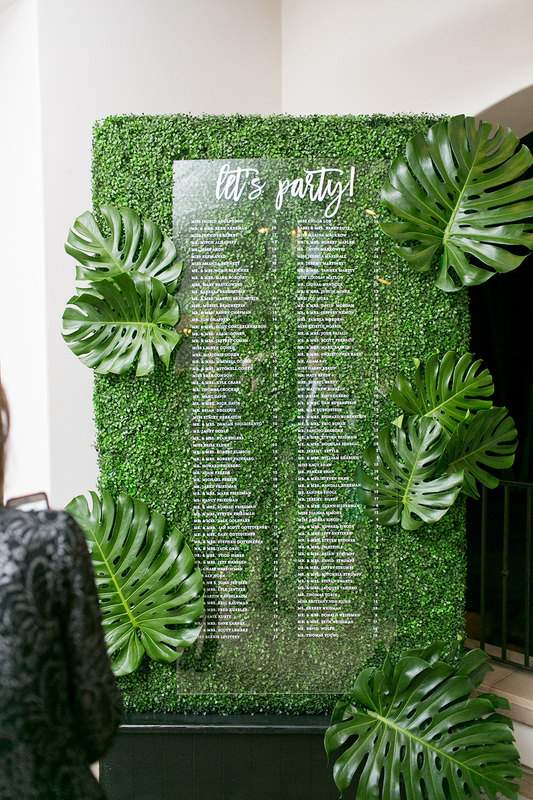 Stomping on the glass and making it official! 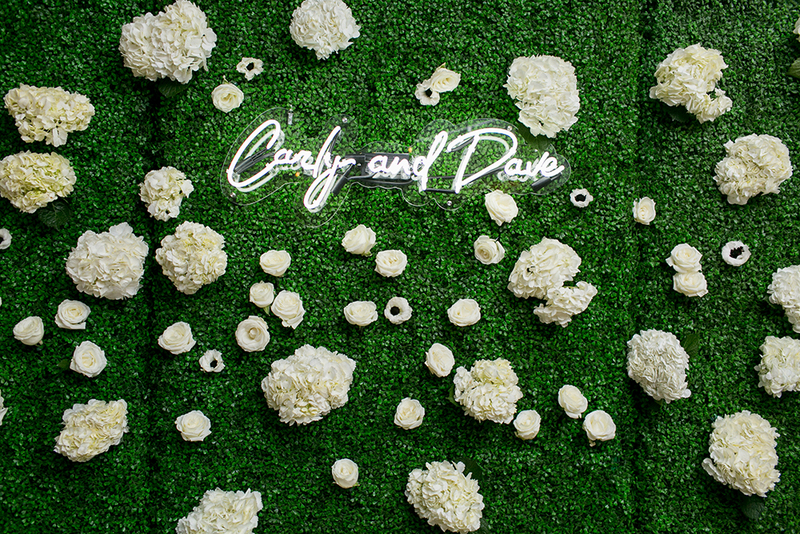 Carly and Dave met at a bar — Palihouse in West Hollywood, CA. 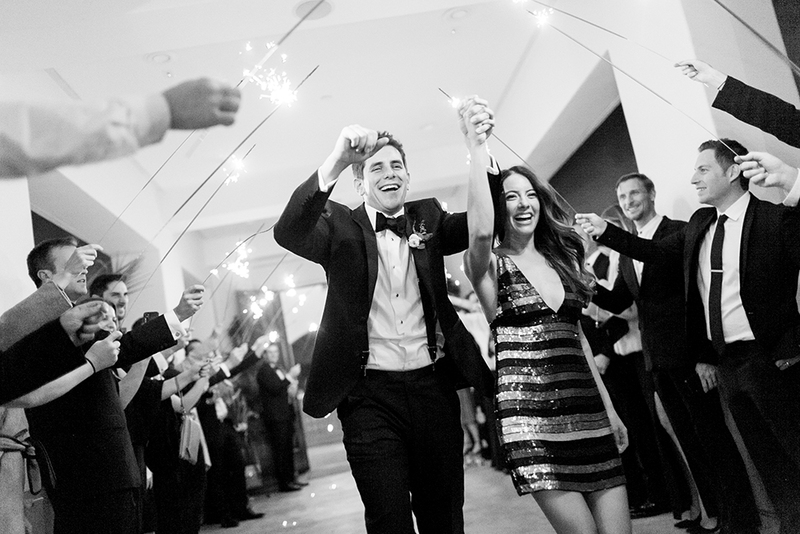 After having one of the worst first dinner dates — Dave got sick and his car was towed — they have been together ever since!